Your “mini Biodôme” vivarium will allow you to present your animal to Planétarium visitors. Then this is the camp for you! Come discover life in all its forms by attending workshops on different animal species, going on nature outings and visiting the Jardin botanique. 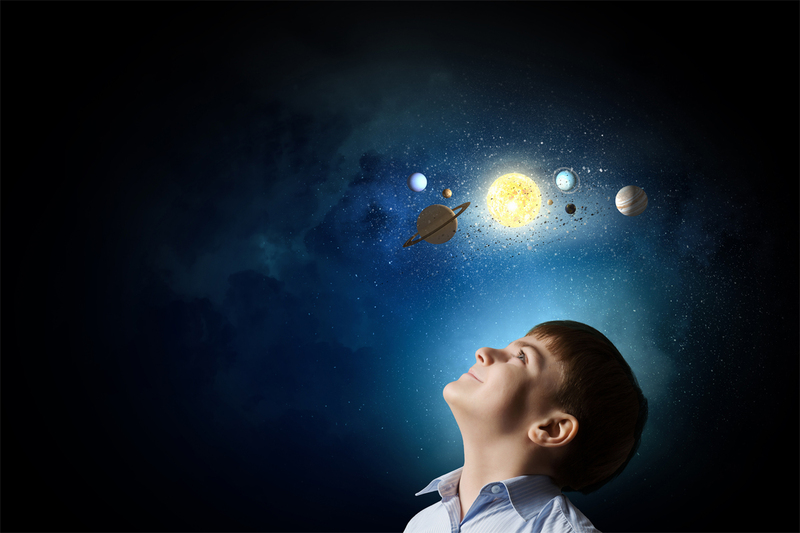 The secrets of the universe will be revealed to you in workshops and shows at the Planétarium Rio Tinto Alcan. And you’ll spend a memorable night sleeping under the stars there. For a big finish, you’ll help set up an information booth with your own mini Biodôme vivarium to present your favourite reptile or amphibian to your family, friends and planetarium visitors. Are you 13 or 14? We’ve got something new for you this year! You’ll have an unforgettable experience with a specially designed Branchés des bois program. At a camp session exclusively for teens your age, you’ll get a chance to see nature with a fresh eye and learn more about the part you play in the delicate ecological balance. Are you up for challenges, discussions, experiments and action? Come on then, sign up! Last update: April 11, 2019. * For 1 child, the discount applies to holders of adult memberships in one of our Friends’ organizations. For 2 or more children, the discount applies to holders of family memberships in one of our Friends’ organizations. Please note that your Friends’ organization membership card must be valid on the day of registration. The Friends’ organization and Accès Montréal cardholder discounts may not be combined. Each camp session lasts two weeks (with the exception of the one-week Génies de nature camp). Monday to Friday, from 9 a.m. to 4 p.m., except during special outings and activities. We do not offer a meal service. Campers must bring their own lunch. Before- and after-camp care is available from 7 to 9 a.m. and 4 to 6 p.m. Refunds may be requested in writing before June 7. A non-refundable administration fee of $60 per camp will be charged, however. No refunds after June 7, 2019. If your child has special needs, please contact us before registration and read the Guide for Integrating Children with Special Needs in Montréal Space for Life Day Camps. Day camp staff are not authorized to administer medication. Did you know that the Biodôme, a Space for Life, has been recycling and composting for five years now?